A GOLD Coast priest has a sense of “gratitude, relief and exhaustion” after a five-year long campaign that led to the scrapping of a Queensland law that allowed “gay panic” as a partial defence for murder. 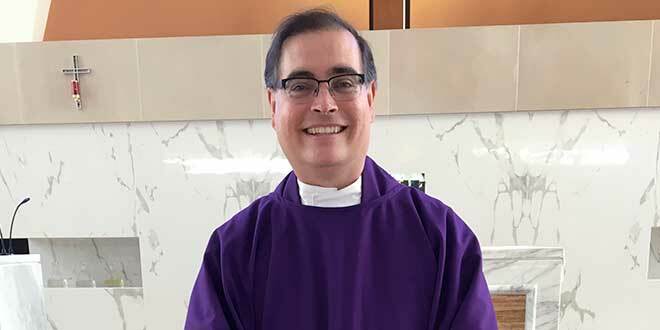 Surfers Paradise associate pastor Fr Paul Kelly “never doubted” he was fighting for a just cause – the Christian principle of absolute respect for human life and protection against violence and hatred. Queensland parliament passed an amendment bill on March 21 removing unwanted sexual advances as a partial defence of provocation for murder. The law had been a legal loophole allowing murder charges to be downgraded to manslaughter. “I have a sense of gratitude, relief and exhaustion,” Fr Kelly who has campaigned to change the law, after a man was bashed and died in the grounds of the St Mary’s Church in Maryborough church where he was serving as parish priest in 2008, said. Disgusted by the case, Fr Kelly started a Change.org petition that has almost 290,000 signatures, making it one of the biggest the website has hosted. “I am so grateful to God for the overwhelming support from people within the church communities and also in the wider community,” he said. After the fatal churchyard bashing, two men were tried and found guilty of manslaughter rather than murder. The accused men told the court that their victim, Wayne Ruks, had tried to grab one of the men’s crotch before he was beaten to death, shedding light on the so-called “gay panic defence”. Watch: Singer Troye Sivan and his mum Laurelle thank Surfers Paradise associate pastor Fr Paul Kelly for petitioning against the ‘gay panic’ defence. Under the existing Queensland laws, unwanted homosexual or heterosexual advances were used as a partial provocation defence for violent crimes. “I never once doubted that there was something very harmful about letting this defense stand,” Fr Kelly said. In 2011, Fr Kelly wrote to the Labor Government and was not satisfied with the response. So he started a petition to close the legal loophole, labelling the “gay panic” law, which existed in Queensland and South Australia, as an “international disgrace”. Fr Kelly said over the years, he was at times made to feel like a fool for his campaigning action, particularly, he said, by legal officers within the Queensland Attorney General’s office. He said the arguments they brought up were just preposterous. “Personally, the campaign has taken a lot out of me emotionally over the last five years, especially the first few,” Fr Kelly said. Fr Kelly said he believed South Australia would follow Queensland’s lead and would push for similar legislative change. “In another small way this victory reinforces that we are all God’s beloved children and we owe everyone in our society the same respect, dignity and protection from harm,” he said. Fr Kelly is a now an associate pastor in the Surfers Paradise parish. Watch: Brisbane priest Fr Paul Kelly handing in the signatures from his Change.org petition in November of 2016.